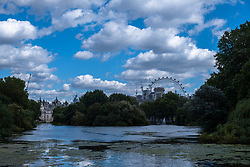 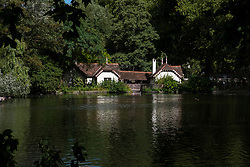 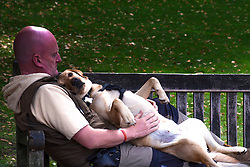 St James's Park is a 23-hectare (57-acre) park in central London. 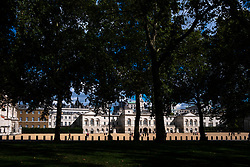 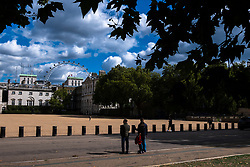 The park is bounded by Buckingham Palace to the west, the Mall to the north, Horse Guards to the east, and Birdcage Walk to the south. 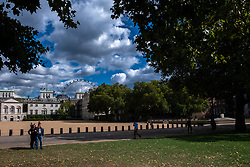 It meets Green Park at Queen's Gardens with the Victoria Memorial at its centre, opposite the entrance to Buckingham Palace. 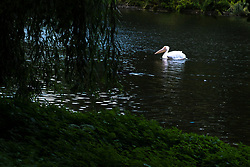 The park has a small lake, which has a resident colony of pelicans. 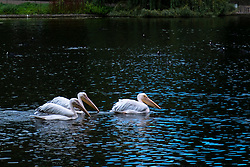 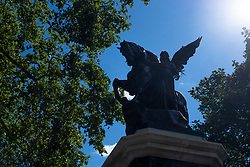 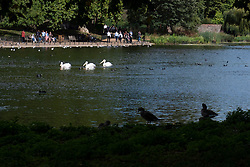 They have been a feature of the park since pelicans were donated by a Russian ambassador in 1664 to Charles II.